A gadget is a small tool such as a machine that has a particular function, but is often thought of as a novelty. Gadgets are sometimes referred to as gizmos. 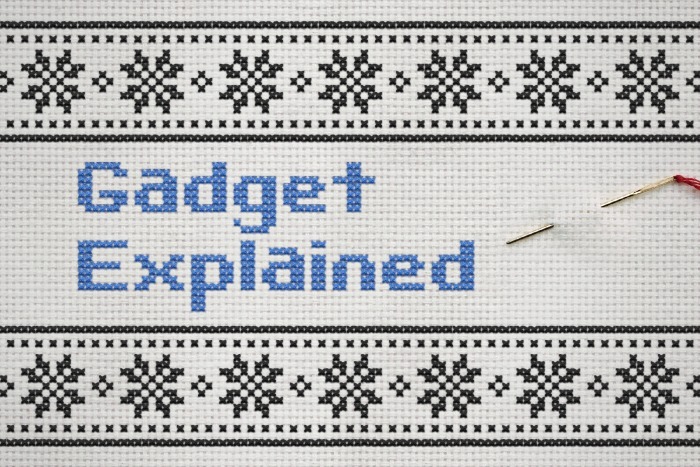 The origins of the word "gadget" trace back to the 19th century. It is said the word "gadget" derives from the French gâchette or gagée, which is a small tool or accessory. By the second half of the 20th century, the term "gadget" had taken on the connotations of compactness and mobility. By the 1960's the term "gadget" was defined as a small self-contained unit of high performance in relation to its size and cost, whose function is to transform some undifferentiated set of circumstances to a condition nearer human desires. The alarm clock. The personal computer. The smartphone. The radio. All of these are modern gadgets. To me a gadget had to be something you could hold in your hands, mechanical or electronic, and a mass-produced personal item. Although mechanical gadgets were being made since a long time, it was the advent of electricity which took the gadgets to another level as different uses for electricity were found. Initial examples of electronic gadgets were TV’s, radio and quartz watches. After that inventors went on to discover microprocessors which brought the days of programmable devices such as computers, MP3 players and now the iPhone. The first portable computer was released in the early 1980s and cost surprisingly not much more than our high-end laptops do today (just under $2000). While the first home gaming console (the Odyssey by Magnavox). The first digital camera surprisingly dates back to a prototype design from the mid-1970s, when Kodak engineer Steven Sasson developed a device essentially from scratch capable of capturing images using an analog-to-digital converter.